Are your finances feeling a bit flabby? 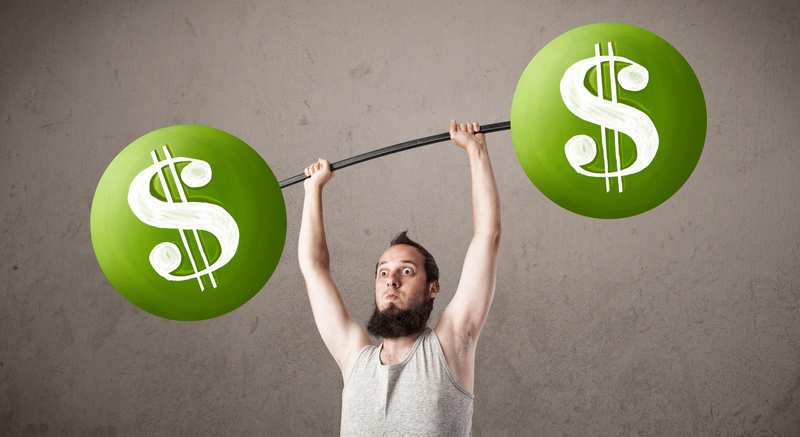 Are you ready for a financially fitter you? Financial health is a lot like physical health—you can't achieve it without discipline and good routine. Not to mention that bad money habits can snowball into serious financial health issues. So, let's talk about how to lose the debt and put on some serious money muscle. Create a workout plan (also known as a budget). Your budget should track your spending and show how you plan to use your income. How much will you spend on living expenses? How much will go to your debts? What about savings? You might be surprised how far your money goes once you have a plan to follow. Set yourself goals. I suggest starting with small, achievable goals. Let's say that your goal is to cut discretionary spending - why not start by taking your lunch to work or by making your morning coffee at home? Cut back. Some people think that the key to wealth is earning a big income. In fact, you can achieve financial fitness on nearly any income level as long as your spending is under control. Assess your debt health. Debt is like cholesterol: there are good and bad varieties. Good debt is for investments that go up in value (eg. real estate), whereas bad debt is for stuff that loses value. The best advice is to avoid bad debt and pay off any high-interest bearing debts as fast as you can. Reduce your exposure to plastic. Credit cards are the leading cause of financial stress. Try this challenge: for one month use only cash for your living expenses. You'll find you have better control over your spending. Stick to routine. The key to fitness is getting into a good routine and your finances are no different. Good habits gain momentum. Start a savings routine by getting your payroll department to deposit part of your income into a separate bank account. Get the right equipment. You'll need: 1) a dedicated, separate account for your savings, 2) a transaction account to keep money for your everyday expenses and direct debits, and 3) a purse or wallet to carry the cash you'll be using instead of plastic. Build a safety net. A huge number of people live week-to-week with no savings to fall back on. That's why it's really important to develop an emergency fund. Aim to have at least a couple of months' salary in the bank. Find a training partner. Got money troubles? Don't keep it secret - you don't have to do it alone. Find someone you trust who can help you with budgeting and staying on track. This article first appeared in Samara Magazine, an online magazine for women interested in business and entrepreneurship.